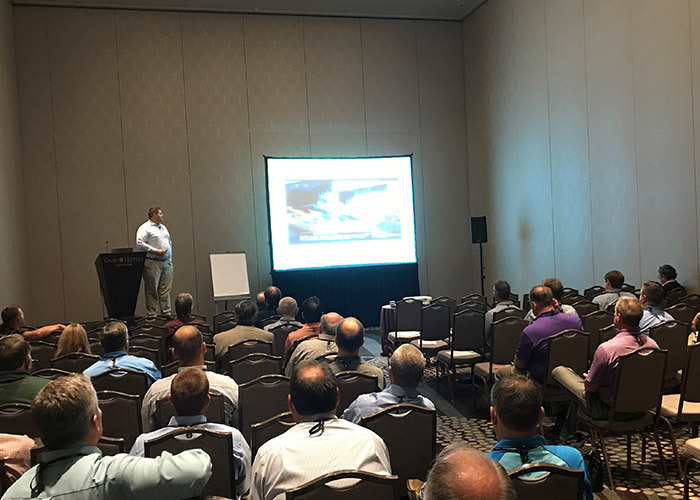 ARCO Design/Build is a proud member of NACD (National Association of Chemical Distributors) and was recently honored by being asked to speak at NACD ChemEdge. NACD ChemEdge is an operational focused annual gathering of members to promote responsible distribution. Jake Stefan, President of ARCO Design/Build – Build to Suit, gave the presentation which gathered more than 60 attendees. Recognizing the importance of having a building that is correctly constructed to protect their products and employees.